It is incredible to think of the many lasting legacies that were born from Ancient Greece. The birth of the city-state, the role of constitutional law and even the collection of taxes grew from the poleis. 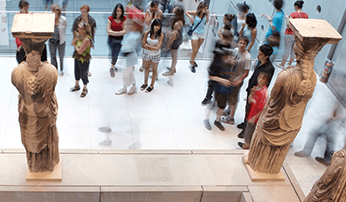 With so much to see across Greece today that supports students in their learning and comprehension of the period and people, we take a look at the key regions to explore with your students on their next school trip to Greece. 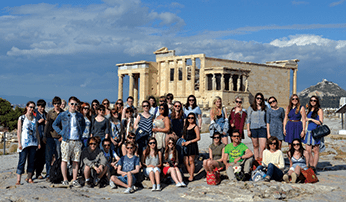 Head for Athens with your school groups and you’ll soon see the city’s marbled treasure sat atop the steep-sided hill. The Acropolis can be seen from almost every angle of the city and stands as a reminder to tourists and locals alike of the nation’s heritage. Students can explore the temple city and the many remnants and landmarks that remain centuries on. 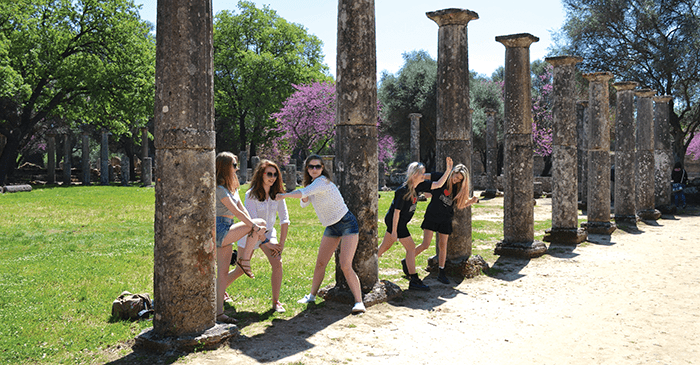 Stories of culture and society become clearer as students explore the thousand-year-old Byzantine churches and learn about the role of drama, mythology and the legacy left by Greek philosophers. Don’t miss out on visits to the Parthenon, Agora, the Acropolis Museum and a trip out to ancient Corinth located between Athens and Sparta. Students may well already know the story of Olympia as the birthplace of the Olympic Games. However, only by visiting Olympia will they gain a greater sense of the scale of the ruins and what Olympia represented over time. Having taken place every four years for over 1,000 years, the Olympic Games were abolished by Emperor Theodosius I in AD393 as part of his outlaw of paganism. While the structures of Olympia were largely destroyed, the UNESCO World Heritage Site of Olympia’s remains are identifiable. Students will begin to picture the scenes of Olympia with sacrifices made to Zeus and Hera and the areas designated to athletes, including a gymnasium that dates back to the 2nd century BC and palaestra (wrestling school). The Sacred Precinct of Zeus (Altis) is home to the 5th century Doric Temple of Zeus. Students will be able to put into perspective the size of the structure thanks to one of the columns being re-erected. Students can also visit the council house (bouleuterion) which contains the altar of oaths. Here, Olympians would take an oath to abide by the rules of the Olympic Senate and commit to fair play. Don’t miss out on visiting the stadium located just east of the Altis which is said to have had a capacity of around 45,000. Here, students can learn more about the hierarchical positions within society and the view of women and slaves. 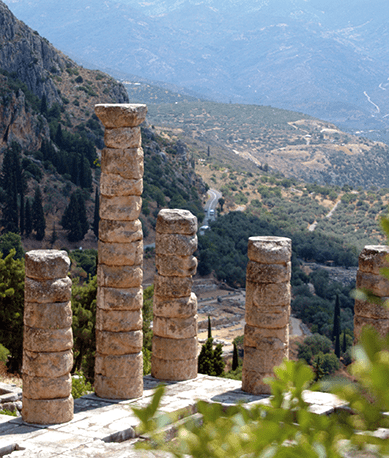 Delphi is a must-see stop on your school trip to Greece even if it’s just to view the incredible location. Located two and half hours northwest of Athens, students will learn of the importance of the site for Ancient Greeks and visit the Sanctuary of Apollo. 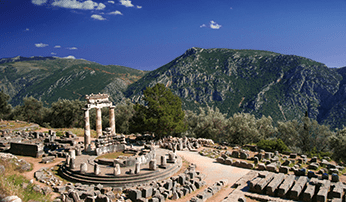 School groups will learn about Delphi as a place of pilgrimage between the 6th and 4th centuries BC and be able to place stories learnt in the classroom into context by viewing the size and position of this sanctuary. 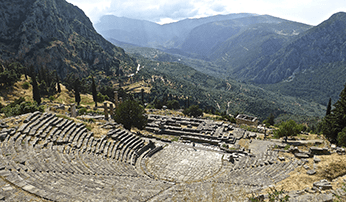 With a chance to visit arguably one of Greece’s most significant archaeological sites, it’s of little surprise Delphi is a hugely popular inclusion on the tourist trail. As the centre of the known world for Greece, it was believed Delphi was the closest place man could be to God. While the oracle of Delphi has long gone, the site remains no less impressive with views over the Gulf of Corinth. In addition to the temple, students will be able to explore the theatre, stadium, Temple of Pronoia Athena and the Sacred Way. 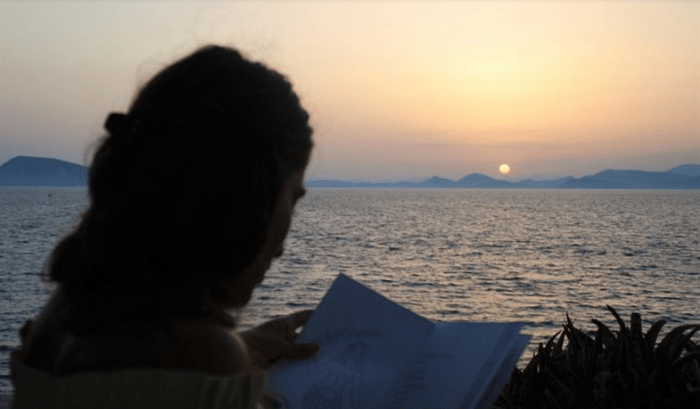 Situated around 20 minutes away from Nafplion, the Bay of Tolon was first written about by Homer in the Iliad and named as sending a fleet to take part in the Trojan War. The long sandy beach offers a great opportunity to take part in some recreational activities before exploring the local area or venturing out on boat trips to the surrounding ruins of houses and reservoirs. Nafplio (Naúplion) sits as the original capital of Greece and is home to three castles to explore. Students can learn the story of the Venetian fortress of Bourtzi and its position protecting the city from invaders and discover the town’s ancient walls and Ottoman fountains. 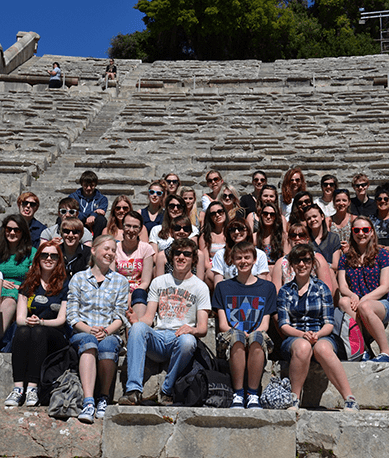 School groups can also explore the monumental Lions Gate and the Necropolis at Mycenae as well as the outstanding theatre at Epidavros which stands as an architectural masterpiece. To find out more about school classics trips to Greece, or to start planning your next educational experience, speak to the Travelbound team on 01273 244 572 or contact us online.